We mark the passing of the wonderful Leonard Cohen with an interview from the 1979 UK tour for Recent Songs. 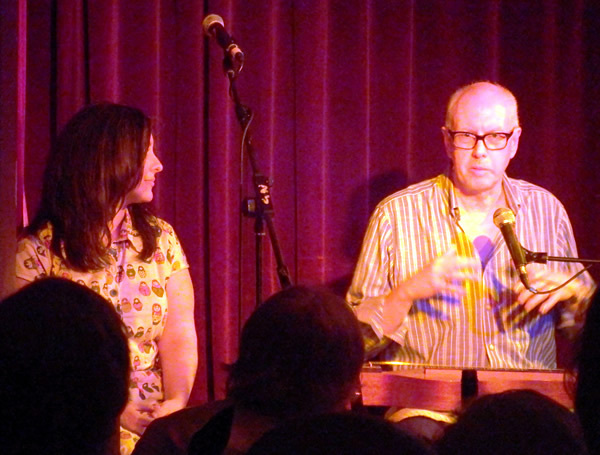 Dan Evans and Virginia Thorn, live at the Green Note, Camden Town, 22 February 2016: a celebration of the late Jean Ritchie, the Appalachian singer and song-collector who inspired both Joan Baez and Bob Dylan and who traced the links between American ballads and songs from the UK and Ireland. The spirit of Jean Ritchie – recently celebrated with a Square Roots concert at London’s Green Note with Dan Evans and Virginia Thorn and in Albany, New York with Peter Pickow, Susan Trump and David Massengill – hovered benevolently over another event this week: a concert by Martha Redbone at National Sawdust, opened six months ago in Williamsburg, Brooklyn’s hottest locale. One of three evenings curated by Redbone but the only one at which she actually performed, it featured the singer’s settings of William Blake inspired by the music of her Appalachain heritage in Harlan County, Kentucky. Featuring Aaron Whitby on keyboards, John Caban on guitar, Charlie Burnham on fiddle, Fred Cash on acoustic bass, and Tony Mason on drums, the concert raised the roof, Redbone exhorting the audience to ‘make this our church’. Evoking the life lived by her Cherokee forebears in Black Mountain, where strip mining disfigured the landscape and poisoned the water, she offered rousing and powerful performances not only of the Blake settings (written with Whitby and recorded as The Garden of Love) but also by pioneering Carolina-born bluegrass pioneer Ola Belle Reed (‘Undone in Sorrow’), Peter La Farge (‘Drums’) and Johnny Cash (a remarkable reworking of ‘Ring of Fire’). Redbone talked passionately about the fate of the Native Americans, taken from their parents and sent to boarding schools established by the American government in the 19th and 20th centuries to ‘civilise and christianise’ the young charges – ‘kill the Indian, save the man’ was the grim philosophy. La Farge, a Cherokee like Redbone, was a contemporary of Bob Dylan in 1960s Greenwich Village and wrote songs on Native American issues. He died young in 1965 and in 2010 the Smithsonian issued a tribute album, Rare Breed, on which Redbone featured. The movement for Native American rights and recognition grew out of the black civil rights movement so it was fitting that Redbone closed the concert with a performance of ‘Keep Your Eyes On the Prize’, singer and audience engaging in exhilarating call and response. *Bone Hill, described by Redbone as ‘the true account of my ancestors, of post-slavery, and people of colour working in the coal mines of Appalachia amid the laws of Jim Crow and our survival as the original people of that land as the world changes around us through the generations’, is at Lincoln Center NYC on 28 April. Bone Hill – The Concert: Music and lyrics by Martha Redbone and Aaron Whitby; written by Martha Redbone, Roberta Uno, and Aaron Whitby, directed by Roberta Uno. Well I’ll be damned, to coin a phrase – from ‘Diamonds and Rust’ actually! 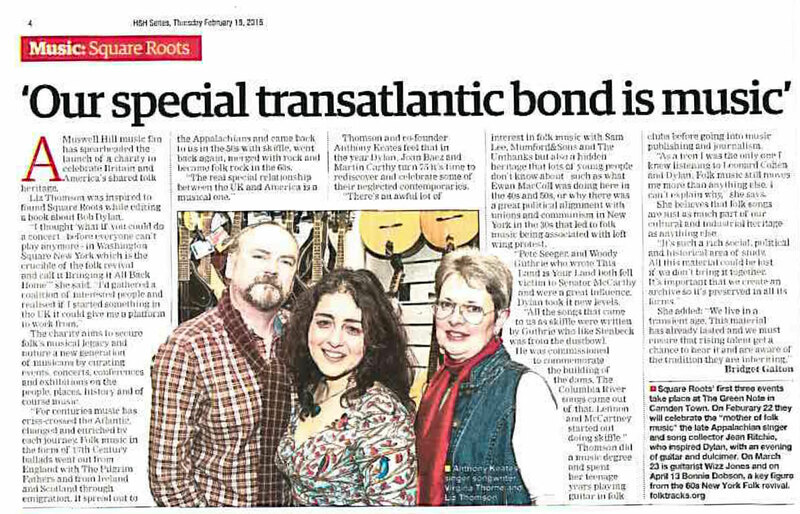 Square Roots Productions made its official debut on 22 February with a concert showcasing Dan Evans and Virginia Thorn that had Folk & Honey reaching for superlatives. The gig, at Camden’s award-winning Green Note, was a sell-out – indeed, there was a waiting list for tickets. The evening was a tribute to folksinger and song collector Jean Ritchie, who died last summer: to her songs, to the folk revivalists of the 1960s who brought them to a vast new international audience and to the instrument she made her own – the dulcimer, now the official instrument of her home state of Kentucky. The evening was bookended by performances of ‘Amazing Grace’, perhaps the most celebrated song to have criss-crossed the Atlantic and which was written by English poet and clergyman John Newton from Olney, Buckinghamshire. 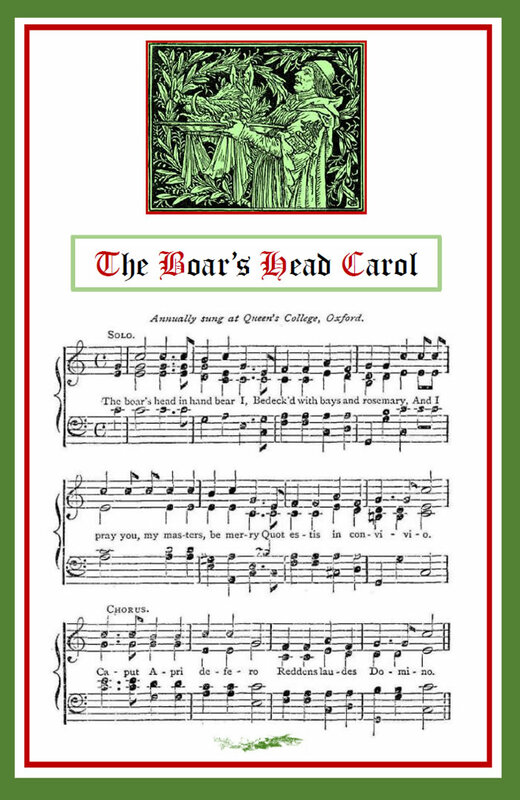 A favourite of Ritchie’s, who frequently featured it in her concerts, it was presented first as a dulcimer instrumental and, at the end, a capella by Virginia Thorn. Many in the audience picked up the melody and sang along. The musicians, together on stage for the whole evening, alternated songs and instrumentals, Virginia adding vocal effects to Dan’s solos, which included the medieval ‘Wind Among the Heather’ and ‘Columbine’, played in the dulcimer’s natural Dorian mode, ‘Spring Season’ by the late Roger Nicholson, a friend and mentor, and his own ‘The Spider’s Dance’. Virginia also joined him on ‘The Water is Wide’, recalling its links to Ritchie’s ‘Love is Teasing’, and added harmonies on the chorus of ‘The Grey Funnel Line’, written by Cyril Tawney, a sailor in the British Navy in the 1950s who was inspired by Alan Lomax, like Ritchie an American song collector who spent time in Britain. Virginia’s contributions included ‘Old Virginny’, a Ritchie favourite with links to ‘Silver Dagger’, a song covered by innumerable folk revivalists including Judy Collins and Joan Baez. The latter’s ‘Diamonds and Rust’, written in recollection of her romance with Bob Dylan, was an undoubted highlight among her solos, along with Tom Waits’ ‘The Day After Tomorrow’, an anti-war song – written in the form of a letter home – which is all the more powerful for being so understated. And there were heartfelt performances of songs from the Canadian folk revival: Joni Mitchell’s ‘All I Want’ and Kate McGarrigle’s ‘Talk to Me of Mendocino’. 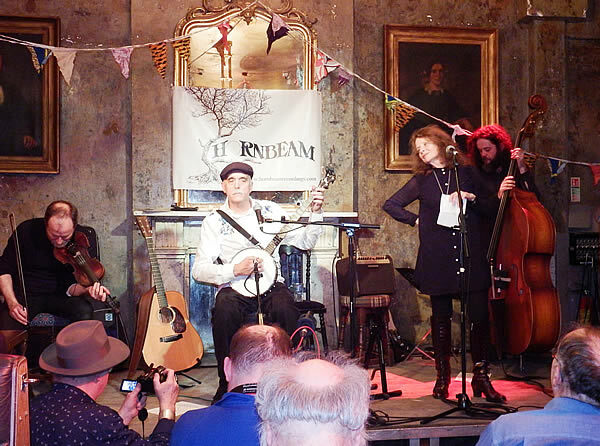 Throughout, both musicians introduced each item with comments as to its origins and performance practice, linking past and present and teasing out the links between Jean Ritchie – described by Baez as ‘the mother of folk’ – and the generations of musicians she has inspired and continues to inspire. *The life and legacy of Jean Ritchie was be celebrated with a concert and exhibition at The Egg on New York State Plaza on Sunday 6 March, a joint project with New York State Arts/Square Roots Productions. Read a review. A celebration of the life and work of guitarist Wizz Jones, whose career began in the coffee bars of 1950s London, a man to whom both Clapton and Springsteen pay homage. With Simeon Jones and Dariush Kanani. An article in Ham & High about the launch of Square Roots Productions and the inaugural events at The Green Note in Camden Town, London. Storyteller, songwriter and picture-book maker David Massengill ‘emigrated’ from Tennessee to the Greenwich Village folk scene in 1976 with a dulcimer and a dream of bohemian nirvana. Forty years later, he’s still walking the streets around Washington Square, playing the same many-storied coffee houses as Bob Dylan and Dave Van Ronk – whose memoir The Mayor of MacDougal Street inspired the movie Inside Llewyn Davis – and, crucially, keeping the American folk tradition alive as both performer and teacher. A participant in the songwriting circle begun by the late Jack Hardy, with whom he sang as the Folk Brothers, Massengill also takes his song and picture-book workshops on the road to schools and family centres, an inspirational artist-in-residence sharing a great tradition. Massengill’s songwriting style ranges from tragic mountain ballads to tender love songs and iconic political narratives. He sees himself following in the footsteps of Woody Guthrie, explaining: ‘Sometimes I write songs that don’t have a narrative, but my favourite songs to write are the ones that tell a story.’ At once new but seemingly also ancient, those songs include ‘On the Road to Fairfax County’, recorded by Joan Baez and the Roches. David Bromberg, Chad Mitchell, Lucy Kaplansky, Tom Russell and Nanci Griffith have also recorded Massingill songs, as did his mentor, Dave Van Ronk, who once said David ‘took the dull out of dulcimer’. Massengill’s catalogue includes a score for Ken Russell’s as-yet-unreleased film Boudica Bites Back, 15 books, 11 bootlegs and six CDs, among them Coming Up for Air, his studio debut, Return, My Home Must Be a Special Place, We Will Be Together and Dave on Dave: A Tribute to Dave Van Ronk. On Sunday 6 March 2016 at 2pm, David Massengill will feature in a concert to celebrate the life and legacy of Jean Ritchie, when he will share the stage with Peter Pickow, son of Jean Ritchie and George Pickow, and Susan Trump. The concert takes place at The Egg on New York State Plaza in Albany, and it marks the opening of an exhibition featuring instruments, photographs and memorabilia from the Jean Ritchie Estate. Both are part of an ongoing exploration of the New York folk revival, celebrated in the Egg’s Living Legacy series. The concert and the exhibition is in partnership with Bringing It All Back Home, a project of Square Roots Productions. Dan Schatz has been playing folk music since he was a child in Kensington, Maryland, and he is now a Grammy-nominated singer, songwriter and multi-instrumentalist and producer. He co-produced and performed on the internationally acclaimed double album Dear Jean: Artists Celebrate Jean Ritchie, featuring among others Janis Ian, Judy Collins, Peggy Seeger, Archie Fisher and Kathy Mattea, as well as Ritchie herself. Although Aubrey and I learned lots of Jean’s songs from her books or from musician friends, here is a short list of some of the ones we learned knee-to-knee with Jean herself during Appalachian Family Folk Week at the Hindman Settlement School in Hindman, Kentucky: ‘Jenny Jenkins’; ‘Four Marys’; ‘The Devil’s Nine Questions’; ‘I Wonder When I Shall Be Married’; ‘Morning’s Come, Mariah’s Gone’; and ‘Pretty Saro’. Aubrey and I had been doing research and performing traditional folk songs for a while already, including the songs of Jean Ritchie, the youngest of 14 from a mountain family in eastern Kentucky. But when Aubrey saw a small ad in Sing Out! Magazine in the late winter of 1992 which read ‘Appalachian Folk Week, with Jean Ritchie and others’ she was determined to go and meet Jean in person. So, off she went, that following June, to the Hindman Settlement School in Hindman, Kentucky. Not only did Aubrey meet Jean, who took her to the family cabin in Viper, Kentucky, but she met three other people who would become lifelong friends as well: Chris Bischoff of Louisville, who taught Aubrey her first clogging steps, right up to the Tennessee Walking Step, and who taught me to call contra and square dances; Dan Dutton, of Somerset, Kentucky, who is a multi-talented artist, songwriter, painter, dance choreographer and sculptor, and who engaged Aubrey in some of his folk operas; and Cari Norris, the granddaughter of Lily May Ledford, part of a trio who were among the first all-female group of performers during radio days in the 1930s. Cari taught Aubrey to play claw-hammer-style banjo. Starting with that fateful visit to Hindman, Kentucky, we have all become the best of friends, visiting each other’s homes between Kentucky, Long Island, New York, and Rhode Island, where Aubrey and I live. A conversation about Jean would be remiss without mentioning George Pickow, her husband for sixty years. Jean met George Pickow when she came to New York City in 1947 to follow her college degree in social work to the Henry Street Settlement School. George, a photo-journalist, subsequently documented Jean’s career, making her one of the most chronicled female folk singers in history. Atwater – Donnelly performed with Jean on many occasions throughout the 22-year relationship, and Jean visited Rhode Island too, to participate in an annual festival that Aubrey organized, Mountain Music in the Ocean State. We also held Concerts in the Barn on our property in Foster, Rhode Island, during that period, bringing such luminaries as Dave Para and Cathy Barton, Tracy Schwarz and Ginny Hawker, Sheila Kay Adams, and, of course, Jean Ritchie. Aubrey and I were also thrilled to perform twice for the annual Jean Ritchie concert at the library near Jean and George’s home in Port Washington on Long Island. There were other occasions when we were privileged to visit and perform with Jean, but the greatest memories come from our times together at the Hindman Settlement School, during their Appalachian Family Folk Week in June, learning the history of the Ritchie family, singing together, and meeting Jean’s extended family, including her nieces Judy Hudson, Joy Powers, Susie Ritchie and Patty Tarter. Katie Tarter German, daughter of Patty and Joe Tarter, took a huge interest in the family history, songs and play-party games and dance, and is a principal teacher of the same. Because of our friendships with members of the Ritchie family, Aubrey and I also have had the honour to be on staff several times over these years for the Christmas County Dance School in Berea, Kentucky. This event is held every year, starting the day after Christmas and ending on New Year’s Day. If you want to get a strong introduction to Jean and the family that has brought so many songs to the ears of faithful traditional music fans, read Jean’s book, The Singing Family of the Cumberlands. It’s an honest and well-written appraisal of growing up in the Ritchie home, from the viewpoint of the youngest child, Jean Ritchie. The way in which Aubrey and I are always on the lookout for alternate versions of familiar folk songs is due to the path on which Jean set us, with anecdotes from her decades of touring and performing and learning from others. These lessons learned, and the smiles shared, are just the tip of the warmth-berg of our 22-year friendship with Jean. It seems almost ironic now to look back across the years and recall that this friendship started with a classified ad. Husband-wife duo Aubrey Atwater and Elwood Donnelly www.atwater-donnelly.com present programmes of traditional American and Celtic folk songs, a capella pieces, old-time gospel songs, dance tunes, and original works. Square Roots Productions makes its public debut this spring with three concerts at Time Out’s award-winning Green Note in Camden Town, London. Each focuses on a legacy musician or theme.